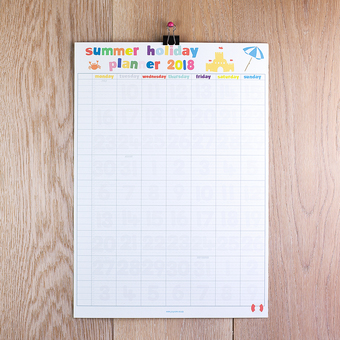 Specialising in special occasion activities such as weddings, we have found a niche market where customers know they can come to us to keep their little guests entertained throughout their special day but without compromising on style. 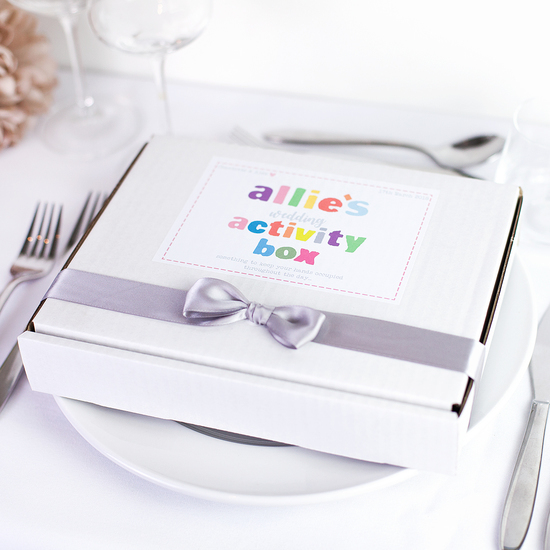 Our wedding activity boxes will not look out of place on your top table! 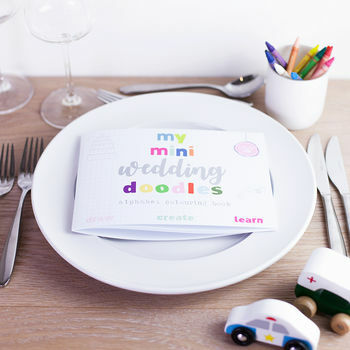 Our fun colourful designs will keep little hands busy on a rainy day or a special day! 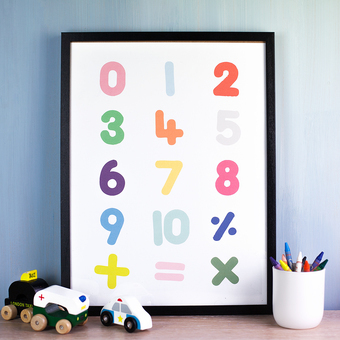 Mostly based around the alphabet and using bright fun colours we hope to encourage learning through our designs. All handmade with care we strive to provide a high class service to each of our customers. 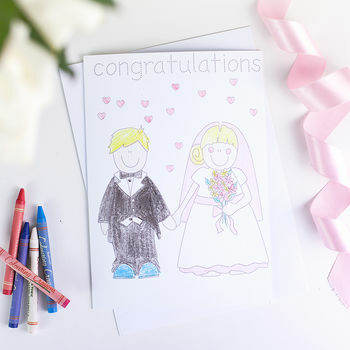 "Awesome - can't wait for the boys to get into them on the wedding day....I looking forward to an expertly coloured card!" "These pads were perfect to keep the children occupied during the wedding speeches and the next day." 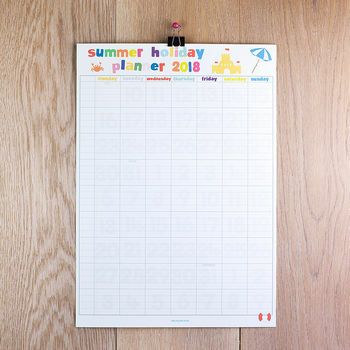 "These are for wedding favours for young kids and they look perfect, thank you very much!"